On 8 November 2016 the Global Carrier Awards were conferred for the twelfth time. The Wholesale team of the Telekom Austria Group took home the renowned award in the category Best European Project for its A-Number Verification project. The Global Carrier Awards are among the most prestigious global awards for Wholesale providers. This year's award ceremony was held during the Capacity Europe conference in Paris and was attended by more than 400 guests. 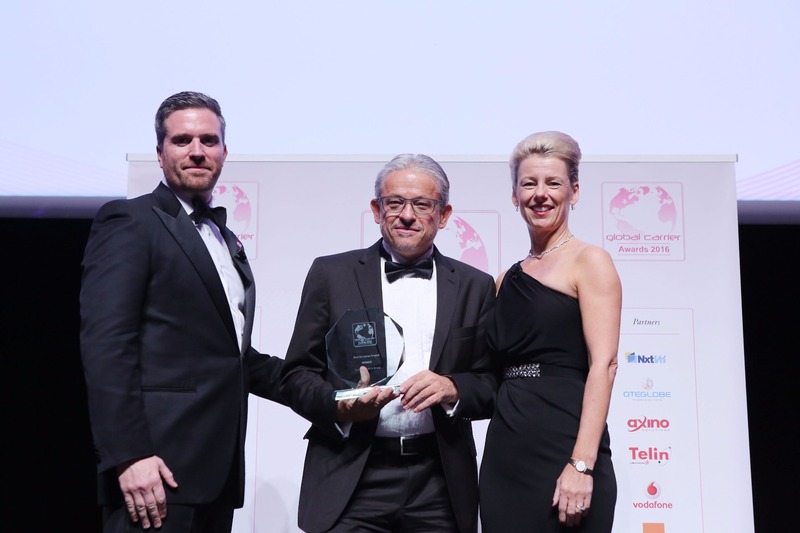 This was the second time that the Telekom Austria Group had won the coveted award. In 2013 the jury honored the company with the Campaign of the Year award, followed this year by the prize for the Best European Project. "As a leading Wholesale provider, we are able to carry out test calls with specific numbers in order to check the overall situation," said Franz Bader, Director Wholesale and International Business at the Telekom Austria Group. "We have already detected a large number of connections with a manipulation rate of 100% using A-Number Verification, thus helping operators prevent fraud." The jury was especially impressed by the innovative communication concept and the project's strong customer focus. The target group can explore the issue of A-number billing and "manipulation" in greater detail in webinars on the website. The complex products are explained in a way that appeals to the target group emotionally in simple cartoon-style videos. Users are made aware of the problem and at the same are offered a solution. Capacity Award 2016 for the Telekom Austria Group Wholesale team. Director of the unit, Franz Bader, (middle) with the hosts.